How Did America’s Founding Generation Read the Bible? 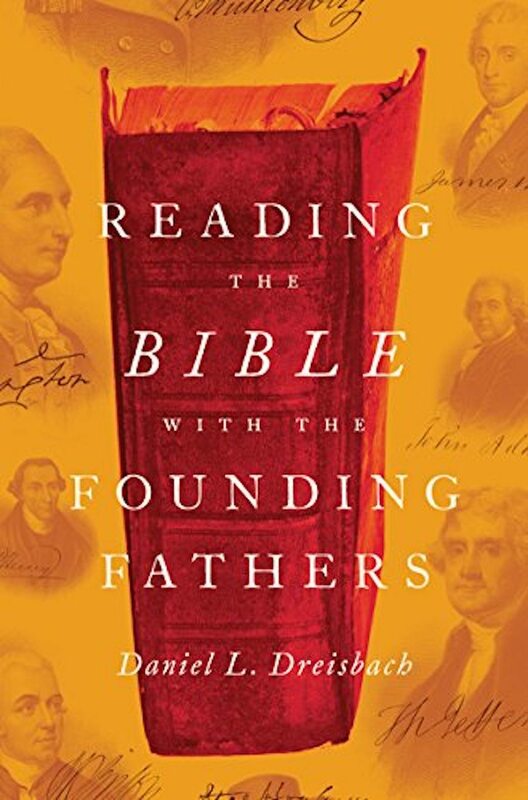 American University professor Daniel Dreisbach is probably the foremost expert on religion in the American founding era and a devoted student of the Bible, so he’s arguably the best person to write a book on the Bible’s use during that period. Indeed, Reading the Bible with the Founding Fathers is a tour de force of scholarly research. Dreisbach produces hundreds, perhaps thousands, of clear or subtle references to Bible verses by public persons in America between 1760 and 1800. His goal is to demonstrate that “the Bible was important to the social, legal, and political thought of the founding generation and a vital influence on the culture in which they lived” (6). His other stated goal is to “combine credible historical research and careful textual analysis with basic biblical scholarship and political theory” (16). Dreisbach demonstrates the ubiquitous presence of the Bible in the discourse of the day. He makes a decided effort to provide biblical context for verses and to lay “traditional” or “conventional” (i.e., literal) interpretations alongside those devised and employed by the founding generation. He does the latter with mixed success. Sometimes he brings the original Hebrew or Greek into his analysis; sometimes he doesn’t. He devotes special sections to examine context and interpretation of certain passages; for others, he gives no such evaluation. For the most part, these special sections are quite good, although he fails to point out that passages from the book of Proverbs are proverbs—not God’s promises, invariable rules, or “oaths of God” as the “patriots” took them (e.g., 17, 174). Like the patriots, Dreisbach also tends to cite God’s covenants with and promises to his chosen people, Israel, as if they are universally applicable. Oxford University Press. 334 pages. $34.95. One critical question hangs over the volume: Did the Bible influence the “founding fathers,” or did they simply find it useful for illustrating and bolstering their own ideas gleaned from other sources? The Bible’s use throughout the founding era, and especially the revolutionary period, suggests the latter. For example, despite claims that the book of Deuteronomy and the example of the Hebrew commonwealth provided “principles, models, and precedents useful to them in the creation of their own polities,” the framers didn’t re-create the structures, institutions, or processes of that system (66). They simply sanctified their own novel and unprecedented system by claiming it followed a biblical example. Despite these concerns, Reading the Bible with the Founding Fathers is a valuable cultural contribution. As long as one applies Dreisbach’s own cautionary notes in drawing conclusions, there’s much to be learned. An attentive reader might discover that biblical literacy was far more extensive in the founding era, which made both appropriate and inappropriate use of Scripture a powerful tactic of promoters of political causes. Since biblical stories and individual verses were, like today, better known among the people than proper hermeneutical principles, abuse of the Bible often ran parallel to use of the Bible. Reading the Bible with the Founding Fathers is a must-read for those interested in religion during the American founding period, but read it with a critical eye. Gregg L. Frazer is professor of history and political studies at The Master’s University in Santa Clarita, California. He’s the author of The Religious Beliefs of America's Founders: Reason, Revelation, and Revolution (University Press of Kansas). He and his wife, Leanne, have three daughters. Gregg is a deacon at Grace Community Church in Sun Valley, California.